_MAL3341.jpg, originally uploaded by Michael A. Lowry. Sunday afternoon I joined Karin and her friend Glenn for a cup of coffee and a long walk on Drottningholm. Glenn is from Connecticut, and teaches history here in Stockholm. It was nice to chat with a fellow American. 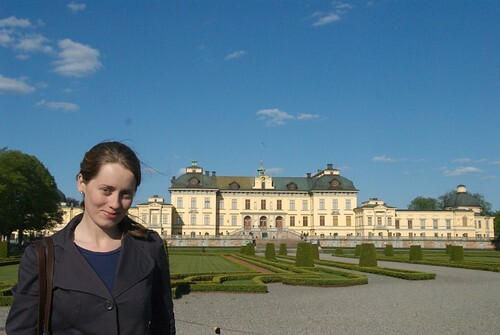 Here's a nice photo of Karin in front of Drottningholm Palace. There are some other nice photos from the afternoon too.